By John M. Stickney, University of South Carolina Press, Columbia, SC, (2012). 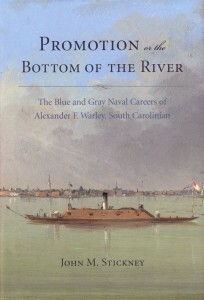 The culmination of work done over a forty-year period, Promotion or the Bottom of the River: The Blue and Gray Naval Careers of Alexander F. Warley, South Carolinian is the naval biography of a long-service officer of the antebellum U.S. Navy who, as with many others from southern states, left the Union with his state, South Carolina, to serve in the Confederate Navy during the Civil War. Author John M. Stickney is a retired U.S. Navy Reserve captain and a former consulting engineer with degrees from Auburn University and the University of South Carolina. 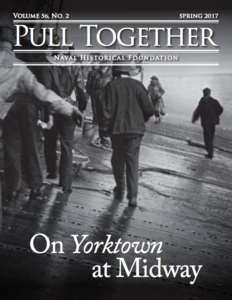 This volume, Promotion or the Bottom of the River, is part of the Studies in Maritime History series edited by the distinguished maritime historian, William N. Still, Jr. Promotion or the Bottom of the River is less a traditional biography, where supporting historical material is woven into the detailed personal story of the principal character, than an episodic naval history of the middle decades of the nineteenth century that derives its central structure from the successive duty assignments of a particular Navy officer. As Stickney concedes in his preface, “Alex Warley was not any easy subject to build a book around.” Referring to a few direct mentions in the literature of Warley’s service during the war years, Stickney adds that “between those events–and before and after them–he was the subject of no commentary.” (xi) For that reason, Stickney resorts to weaving the available material from Warley’s life into the events that surrounded him. Still, Stickney does a good job with the limited material available, and the history is a generally well-constructed tale of life in the U.S. Navy prior to and during the Civil War. Warley’s life can be imagined easily, even if many of the details mentioned in the text are not specifically his. The book opens with Warley’s first Christmas at sea in 1840 following his assignment to the sloop, USS Yorktown, and the first five chapters survey events from his prewar years. Chapters six through twelve, though they encompass only a few of Warley’s seventy two years, cover the war years. A short epilogue spans the remaining thirty years of Warley’s life to his death in 1895 in New Orleans. 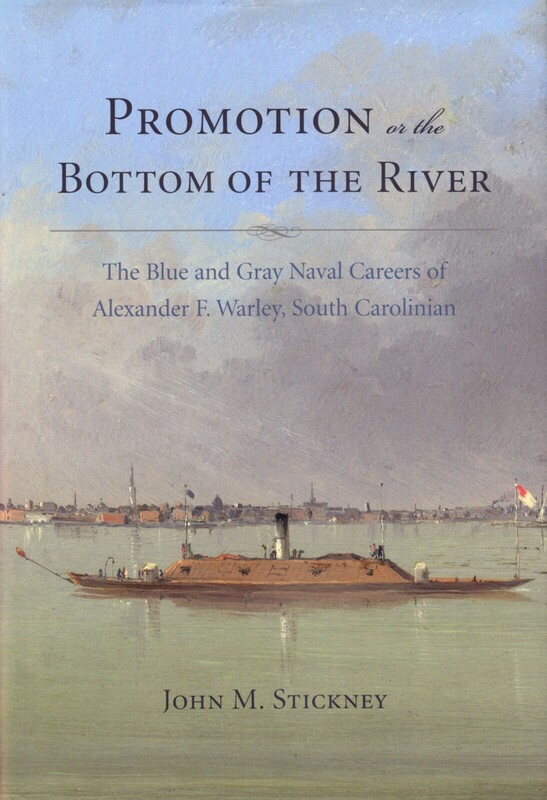 Appendices explain naval ranks, positions, and titles, and also list genealogical information for the Warley family in South Carolina. Warley’s career coincided with a number of important events in naval history. For example, his first tour in the Pacific in USS Yorktown took place at the same time as Commodore Thomas ap Catesby Jones’s mistaken capture of Monterey, California. Warley also witnessed the introduction of steam and served in several of the Navy’s first steam-powered warships. He attended the first class of the Naval Academy, took part in the Mexican War campaign in Baja California, worked for a time at the Naval Observatory with Lieutenant Matthew Fontaine Maury, sailed with the China squadron, and saw Japan only a few years after Perry opened that nation’s ports with his Black Ship visit. Not surprisingly in a small organization, Warley’s path repeatedly crossed those of others who would become more widely known later. In most cases, these were men like James I. Waddell, who served with Warley in USS Colonel Harney, and Duncan Ingraham, who was his commanding officer in USS Richmond, but others are also included, albeit at a greater distance. Stickney sometimes stretches pretty wide to mark these events as with his mention of Herman Melville’s presence near Cape Horn in the same year as Warley, though the two probably never met, then or later. The last half dozen chapters, excepting the brief epilogue, cover Warley’s wartime service, or at least the history of the campaigns and incidents in which he took part. Warley, one of almost four hundred navy and marine officers who joined the Confederacy, resigned from the U.S. Navy while with Ingraham in Richmond. Returning Charleston in 1861, he was a somewhat distant observer of the opening shots of the war, having been assigned to a battery facing away from the action. From Charleston, he was sent to New Orleans where he took command of “The First Ironclad in Combat,” CSS Manassas, in October 1861. As commander of that vessel, he participated in the April battle of New Orleans, and he ended up a prisoner of the Union until he was exchanged. His return to Charleston renewed his acquaintance with Duncan Ingraham. 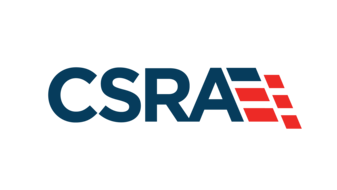 There, he was assigned to various posts, including to CSS Palmetto State, though he later missed that vessel’s attack on the city’s Union blockaders. Absent from the city on an unproductive assignment in Texas, Warley returned to Charleston in time to watch Admiral Samuel F. DuPont’s attack on the city from the shore. In 1864, Warley was given two more command opportunities, CSS Water Witch and CSS Albemarle, that also proved disappointments, and he eventually returned to Charleston. Warley’s actions at the end of the war are not clear from the narrative, likely a consequence of the lack of material. Most of the navy personnel evacuated from Charleston joined a naval brigade and fought with the army withdrawing north, but Warley instead applied for duty at the Confederacy’s last naval station in Augusta, Georgia. Captured in Athens, he was paroled and left the service to live out his life at other pursuits. From 1865 to his death in 1895, he lived in New Orleans, where he worked for the city. Promotion or the Bottom of the River provides an interesting look into the life of an ambitious middle class officer. Warley was the son of a planter with sufficient social status to secure an appointment as midshipman from John C. Calhoun, but he was not from a wealthy family, a condition that often made an officer’s life more challenging. Judging by Stickney’s description of the meager pay of junior officers and the costs associated with things like uniform replacement that seems clearly to have applied to Warley, especially in his early days. Warley’s wartime career no doubt frustrated him, though he did not suffer tragically. He, like so many of his fellow officers, wanted glory and promotion. Some of them found it, but Warley repeatedly seems to just miss achieving something of greater substance. An aggressive commander at New Orleans, he gets some recognition but not the advancement he craved. Many of his subsequent commands are either so weighted with circumstances or bad timing that he can make nothing of the opportunities presented to get what he wants. Still, Warley’s story suggests at least one interesting possibility for further work. Based on Warley’s story, naval officers of the time seemed to be a complaining, letter-writing, and touchy bunch. Perhaps as a consequence of this environment and other conditions, Warley was charged and subjected to courts-martial on multiple occasions for his behavior. However, in spite of several convictions by those courts, he was retained in the service. Not just retained, in fact, but promoted. How could one officer suffer court-martial so many times and still remain in uniform? How many other officers were dealt with in this fashion? Was Warley’s experience unusual, or was there some circumstance of naval administration that made courts more common then than later? This might be worth exploring. Some minor errors in the text indicate the need for more careful editing. For example, soon after Catesby Jones captured Monterey, Yorktown was sent to Santa Barbara, with the direction to that place given as north. Actually, Santa Barbara is south of Monterey. (17) Also, Captain Forrest’s age would be 53, not 55, if the dates presented are correct. (43) And, as a retired professional ship-driver, I have never heard the term ‘freeway’ used to mean ‘headway,’ though that may reflect my inexperience. (10) Finally, the account of de-ratting (38) seems incomplete and a bit confused. To accomplish this operation, sulfur was burned in charcoal fires in a closed ship. The toxic atmosphere created by this forced rats to the fires, because that was the location of the last best source of oxygen. The tubs of water Stickney mentions are provided for the purpose of rapidly extinguishing the fires if it becomes necessary for the watch to do so and not for generation of carbonic acid, which plays no role in the process. Stickney’s writing is entertaining, and for the general reader with an interest in nineteenth century naval history, this work will be a pleasant recreation. Moreover, while life at sea and seagoing wartime adventures are inherently interesting, Promotion or the Bottom of the River contains insights into the professional world of officers in a navy undergoing important technological change, deeply concerned with their personal advancement and social place, while simultaneously trying to win a bloody civil war. This sort of information is useful to anyone interested in the behavior of human beings under stress. Larry A. Grant is an adjunct professor of history and oral historian at The Citadel, Charleston, SC.